November 16th sees the welcomed return of WRETCH 32 with his brand new single '6 Words' taken from his upcoming new album due early next year. Once again Wretch shows his ability to colour and pioneer the sound of the UK's vibrant club scene. True to form, '6 Words' showcases Wretch's ability to combine impeccably produced beats with intelligent, genuine lyrics. Produced by SOS and mixed by Wilkinson (Ram Records), the track is heavily infused with UK drum & bass sounds and a gentle guitar riff which cradles Wretch's poignant sung vocal; the amalgamation is an authentic, uplifting track set to soar effortlessly across the UK airwaves. The video sees Wretch taking a sentimental look at his life and career so far in an honest and heartfelt way that shows where he's been and more importantly where he's going. '6 Words' and earlier tracks 'Doing OK' & 'Blackout' capture the mood and the essence Wretch is etching out on his forthcoming album. Wretch's key ingredients are, working with home-grown talent (most recently Jacob Banks on 'Doing OK' and Shakka on 'Blackout') and secondly his ability to foretell a humbling retrospective on ordinary life through his lyrics. In 2011, Wretch 32 released his gold-certified LP 'Black And White' which amassed over one million record sales and had three top 5 singles including the gritty 'Traktor' and 'Unorthodox ft. Example'. 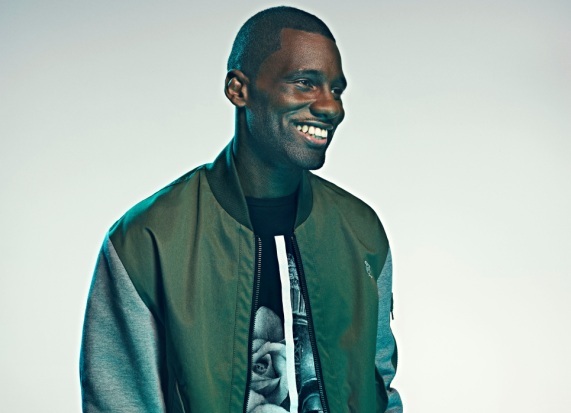 Crowned 'MC of the year' by MTV for two years in a row and as one of the focal artists for the 2012 Olympic Games, Wretch 32 has evolved his style into a seriously unique sound; chilled melodies, trademark bars and soaring choruses. As well as progressing on his own career, collaborating with artists such as Scorcher and dropping in on freestyles for GRM Daily and Link Up TV, Wretch has been fostering the next generation of hit artists through his own management company Renowned. Working with Top 10 artist Melissa Steel, George The Poet, Jacob Banks and Knox Brown who has been working with the likes of Emeli Sande, Jay-Z and Jess Glynn. Wretch 32's third studio album will be released in 2015.